ZomBee Watch is a citizen science project sponsored by the San Francisco State University Department of Biology, the San Francisco State University Center for Computing for Life Sciences and the Natural History Museum of LA County. 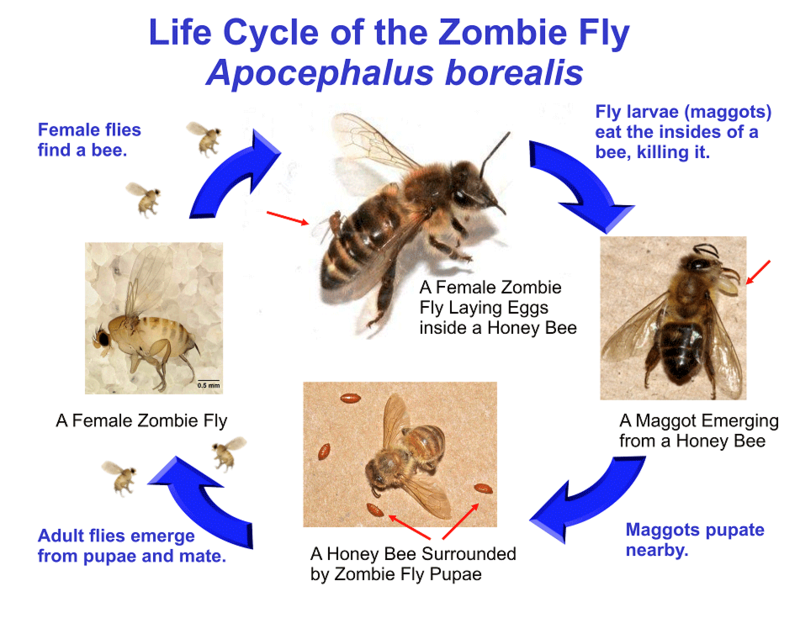 ZomBee Watch was initiated as a follow-up to the discovery that the Zombie Fly Apocephalus borealis is parasitizing honey bees in California and possibly other areas of North America. You can read or download a copy of our original scientific paper, A New Threat to Honey Bees, the Parasitic Phorid Fly Apocephalus borealis, for free from PLoS One. Honey bees infected by the Zombie Fly leave their hives at night and are attracted to nearby lights where they become stranded and eventually die. The presence of fly larvae in up to 18% of active foragers in some California honey bee hives makes the Zombie Fly a potential contributor to hive declines. This would be especially likely if Zombie Fly infection is widespread and higher in areas that are experiencing hive declines. We founded ZomBee Watch to find out how widespread Zombie Fly parasitism is and to learn how often unparasitized honey bees are attracted to lights at night for other reasons. ZomBee Watch has three main goals. There are many ways you can get involved. It can be as easy as collecting honey bees that are under your porch light in the morning, under a street light or stranded on sidewalks. If you are a beekeeper, setting up a light trap near one of your hives is the most effective way to detect ZomBees. It's easy to make a simple, inexpensive light trap from materials available at your local hardware store. To test for the presence of Zombie Fly infection all you need to do is put honey bees you collect in a container and observe them periodically. 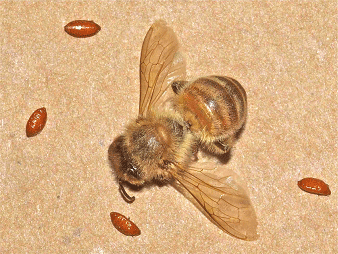 Infected honey bees give rise to brown pill-like fly pupae in about a week and to adult flies a few weeks later. View the tutorial. In California, parasitism begins to increase in early June and peaks in the fall and early winter months. Most records of the fly from other parts of North America (such as the Midwest and Northeast) are from late May to September, which is the most likely time that parasitism will be observed by citizen scientists in those areas. Not all honey bees attracted to light produce Zombie Fly pupae. Whether or not you find parasitized bees, we are interested in your records. 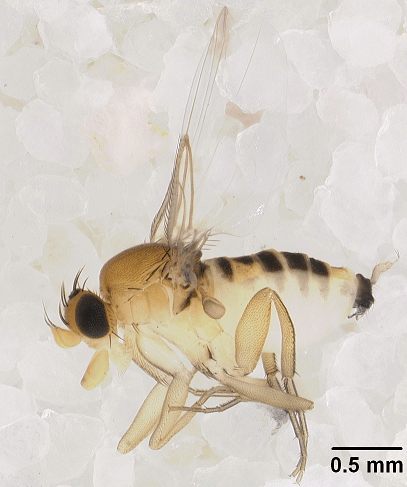 We recently discovered that the Zombie Fly Apocephalus borealis parasitizes and kills honey bees. Read the paper. Parasitized honey bees become "ZomBees" that are attracted to nearby lights where they become disoriented, stranded and later die. View a video of zombie-like behavior. Abandoning hives is one of the symptoms of Colony Collapse Disorder (CCD) an unexplained threat to honey bees. Understanding what's going on in the case of "ZomBees" could help in understanding what causes CCD. A female Zombie Fly. Notice her ovipositor at the end of her abdomen that is used for laying eggs inside a bee. You may have heard that phorids that parasitize introduced fire ants have been released into the US as a biocontrol agent for the ants. The fire ant phorids are specific to fire ants and do not parasitize honey bees. 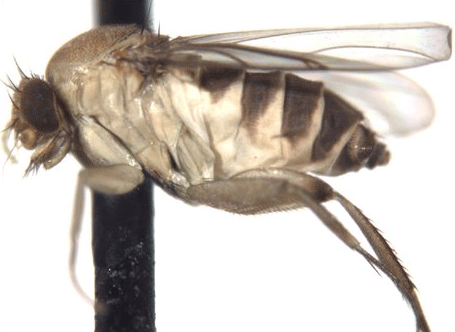 Read about USDA's use of Phorid Flies as Biocontrol Agents. A very common species of phorid, Megascelia scalaris, feeds on all kinds of decaying matter including dead honey bees. Because of this, It is sometimes mistaken for the Zombie Fly. You can find out more about phorids at Phorid.net (http://www.phorid.net/). Like all flies, butterflies and many other insects, Zombie Flies undergo complete metamorphosis as they mature. The begin life as an egg that hatches into a larva (maggot). The Maggots begin feeding within a live honey bee. After the maggots grow for a number of days, an infected honey bee abandons its hive during the night and dies away from the hive , Once the maggots finish eating the insides of the now dead bee, they exit the bee and form pupae (the equivalent of butterfly chrysalids) away from the bee. As many as 15 maggots may come out of a single honey bee. In two to four weeks the pupae hatch into adult flies beginning the cycle again. In California, parasitism begins to increase in early June and peaks in the fall and early winter months. Most records of the fly from other parts of North America are from late May to September. John Hafernik first became interested in insects as a 6-year old boy in Texas and has been lucky enough to make that childhood passion his career. 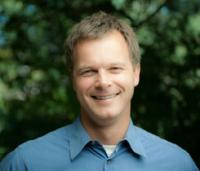 He studies the evolution, behavior and conservation biology of insects. He was first to discover the Zombie Fly parasitizing honey bees. 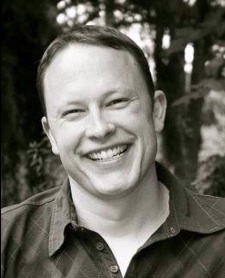 Andy Zink is a behavioral ecologist who uses field and lab experiments, combined with mathematical models, to investigate the evolutionary origins of social behavior. 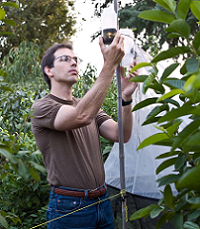 He has worked with many insects including a project on pest management in cotton, funded by the USDA. He is excited to combine his interests in insect behavior and pest management with his participation in ZomBee Watch project. 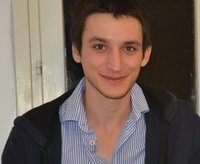 Dragutin Petkovic is interested in the use of computational tools in life sciences as well as making all things (e.g. WWW) easier to use. 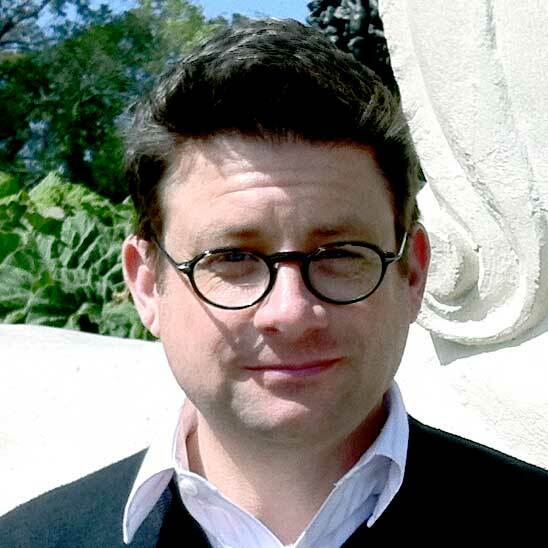 He is helping this project by contributing to its frontend design and mentoring SFSU Computer Science students to develop it with the latest technology and modern software engineering methods. 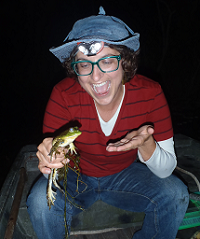 Lila Higgins is an environmental educator with an undergraduate degree in entomology and a serious passion for urban nature. Connecting city dwellers with the urban nature they encounter on a daily basis features greatly in the various projects she works on, including the new North Campus gardens that will be home to a long-term urban biodiversity study. She also writes a blog for the Museum about L.A.'s urban nature. 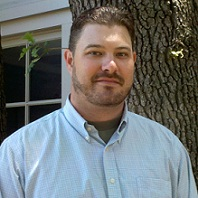 Brian Brown is an expert on phorid flies, especially parasitic species of the genus Apocephalus. He was an author of the original Apocephalus borealis publication. Andrew is a recent San Francisco State University Conservation Biology graduate. 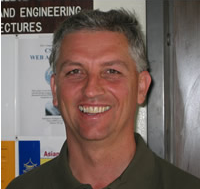 He coordinated and conducted much of the discovery research on Apocephalus borealis in honeybees and was lead author on our teams first published paper on the subject. Jonathan Ivers is currently completing a Master of Science degree in Conservation Biology. 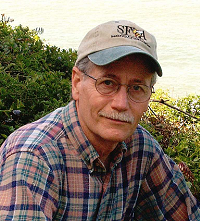 His research focuses on the distribution of Apocephalus borealis throughout the San Francisco Bay Area and the ecological factors that influence rates of parasitism in honey bee populations. 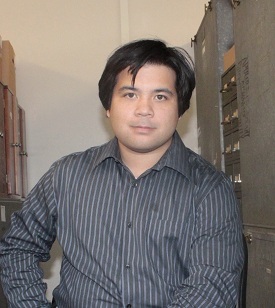 Christopher Quock is currently completing a Master of Science degree in Ecology and Systematic Biology. His research is focused on studying the effects of Apocephalus borealis parasitism on honey bee lifespan and foraging behavior. Marc is completing his Master of Science degree in Computer Science at San Francisco State University. 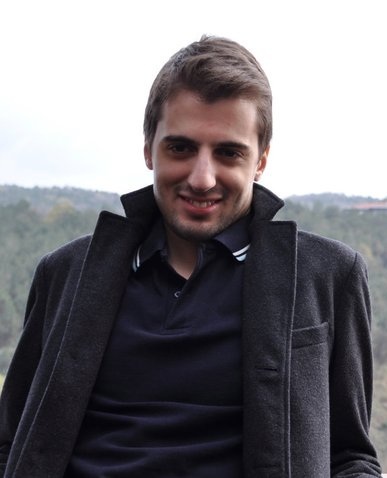 His interests include high-performance real-time computing using GPUs, audio synthesis using mathematical models of physical systems, human-computer interaction, and software engineering education. 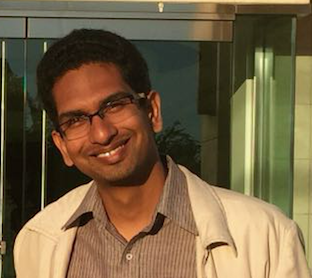 Asim is the lead developer of the ZomBee Watch website for his culminating experience at SF State. He got his bachelors degree in Computer Engineering area. He is mainly interested in high level system architecture design. 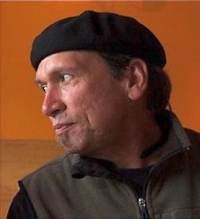 He practices socially responsible beekeeping using organic and sustainable methods, is working towards production of mite resistant hygienic survivor stock queen bees, and teaches throughout the Bay Area. 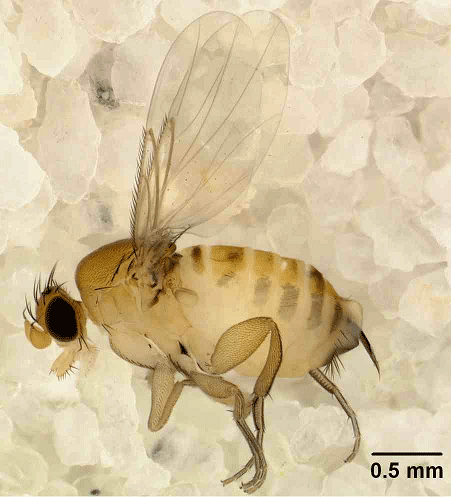 His apiaries provided samples and data for the original Zombie Fly Apocephalus borealis study and publication. Jean-Baptiste is a developer for the Zombee Watch website. He is completing his 3 years university degree in Computer Science and is both interested in back-end and front-end development for Web Applications. ZomBee Watch ©2012. All rights reserved. Supported by AWS in Education Coursework Grant award.